The comedy sequel, featuring Perry as his famously reactive grandmotherly character, opened at No. 1, and the film had enough momentum to unseat Paramount’s “Jack Reacher: Never Go Back” — which was originally pegged as the weekend’s top movie. Still, Perry wasn’t completely satisfied. Indeed, “Reacher” opened on 3,780 screens while “Madea,” which proved to have crossover appeal according to Lionsgate exit polling, debuted in only 2,260 locations. “Boo! 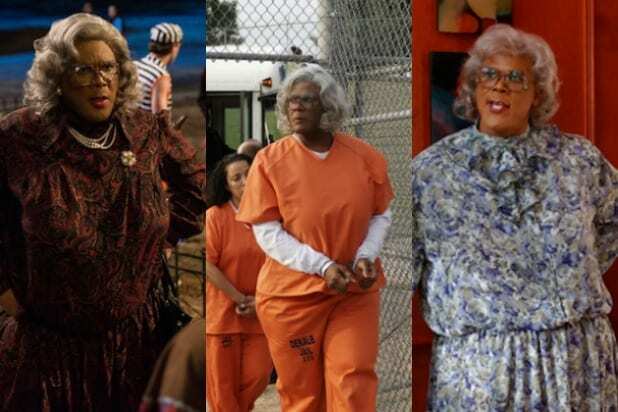 A Madea Halloween” stood out from the rest of Perry’s popular comedy series in that it attracted a much more diverse audience. Sixty percent of “Madea” movie audiences this weekend were African American and the other 40 percent were Caucasian, Asian and Latino, the studio reported. In the past, the series attracted mostly black audiences — around 80 to 90 percent, typically, according to Lionsgate. The film also over-performed, beating all estimates that were put forth earlier last week — by roughly $10 million. Lionsgate, aware of Perry’s comments, told TheWrap that they stand by their decision to launch the film in less than 3,000 theaters. The studio cited the company’s goal to maximize revenue and emphasized that this weekend’s results for Perry’s latest film speak for themselves, adding that the film’s wide release is in line with many other Perry films — many of them hits — released by the studio, and that the opening is also in line with the releases of other movies in similar genres. At the end of the day, Perry is happy his audience is expanding. “I think that it’s just broadening on its own organically, which is really amazing,” he said. Next stop for Perry: the global stage.